to design quality parts and components. 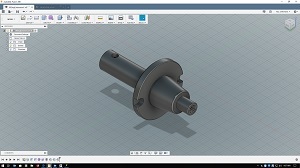 When you bring an idea or concept to our team of machinists, they bring it to life with a Cad drawing. This allows you, the customer, to get a visual of your part before it goes into production. It also provides our team with a detailed drawing of your product, ensuring every unit produced is to your exact specifications. Whether you need a complex mould for your product, or perfectly functional parts to manufacture, cad design makes it possible. And we are proud to specialize in a software that provides the best results for our clients! To learn more about Autodesk design engines and how it can benefit your project, contact us today.